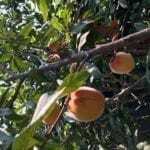 If you are planting almond trees, you will have to select among many different almond trees and almond tree cultivars. Your choice will have to take into account a variety of factors. Read on for information about types of almond trees. For those growing almond tree varieties commercially, the considerations for selecting trees include the size and quality of the nut harvest. 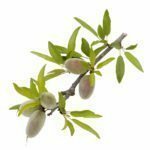 As a home gardener, you may be more interested in obtaining easy-care almond tree cultivars that will thrive in your climate. Although a few self-fertile varieties of almonds are available, they are not problem free. 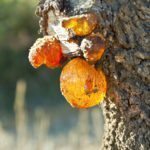 You are better off selecting compatible combinations of almond tree cultivars than individual trees. If you do research about different almond tree varieties, you’ll find dozens of types of almond trees available. They differ in aspects that are important to a gardener: time of bloom, mature size, pollen compatibility and disease and pest resistance. Bloom time is important if you live in a cooler area. 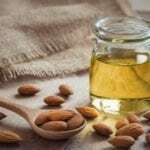 If you live on the low end of the almond tree’s hardiness range, you may want to select varieties of almond that bloom later rather than earlier. This prevents loss of flowers to late frost. Generally, almond trees thrive in U.S. Department of Agriculture plant hardiness zones 5 through 9. But this is not true of all almond tree cultivars, so carefully check the zones of whichever almond tree cultivars you select. Assuming you plan to get two almond tree varieties to pollinate each other, you need to be sure that their pollen is compatible. Not all are. When you buy two or more trees, you want to be sure that their blooming period overlaps. Otherwise, they cannot pollinate each other if they don’t bloom at the same time even if the pollen is compatible. Size of almond trees can be a critical consideration in a small garden. The mature size of trees can range from 12 feet (3.6 m.) to 20 feet (6 m.) high and wide, depending on the type of almond grown. Carmel is one of the smaller varieties and doesn’t spread as wide as it is tall. Monterey is short but spreading.